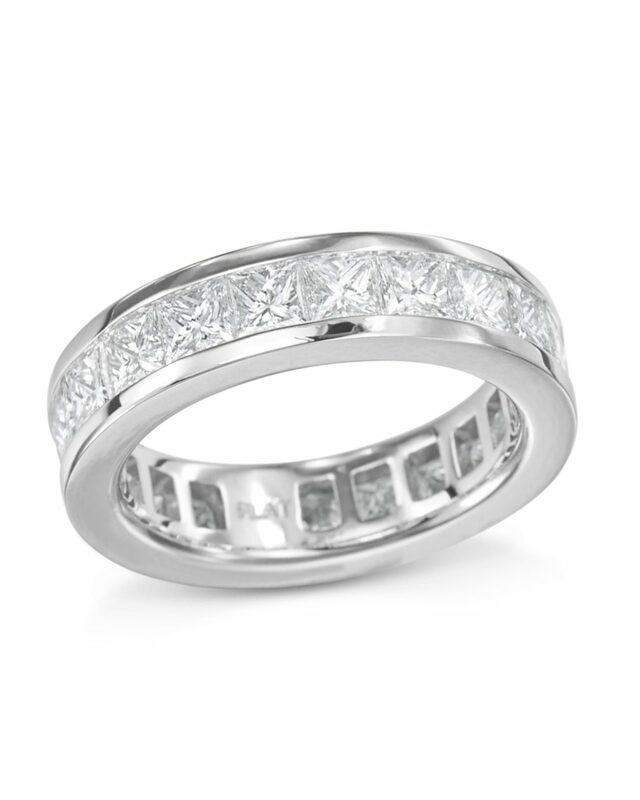 A stunning platinum princess cut diamond eternity band to show her you would marry her all over again. 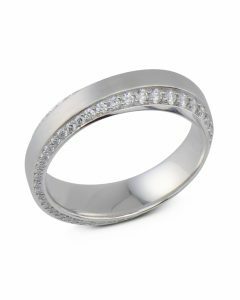 Shimmering diamonds will wrap all the way around her finger when you present her with this exquisite princess cut diamond eternity band. 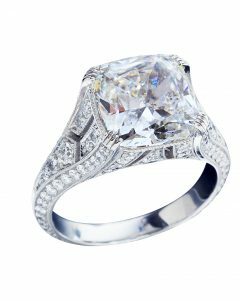 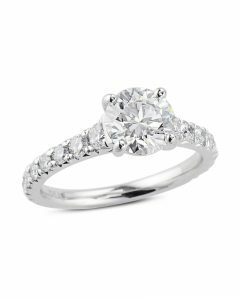 Expertly hand-crafted in precious platinum with 21 channel set princess cut diamonds with 4.14 carats total weight. 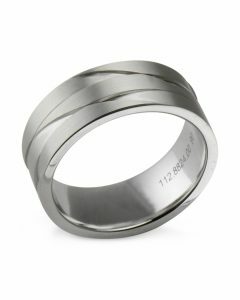 Our incredible diamond band measures 5.0mm wide and wears like a dream.